Spark has developed a new approach to on-farm information with its Connecting Farm concept, built around the Internet of Things. According to the telco, the IoT solution monitors and collates a wide range of on-farm information that is generated by wireless rugged sensors and a variety of other sources like gates and fences. Utilising Spark’s investment in rural broadband, the service will use 4G Wireless Broadband for backhaul to trial a new Low-power wireless area network (LPWAN), a wireless technology which suits devices with low-bandwidth needs. “Farmers will be able to access their farm management systems in real-time when out on the farm over Spark 4G Wireless Broadband or a Low-power wireless area network,” says Pat Verryt, Head of Internet of Things, Spark Ventures. “The centralised system will visibly demonstrate how the farm is performing day to day, while monitoring environmental parameters and a number of other real-time information factors that are critical to farming. 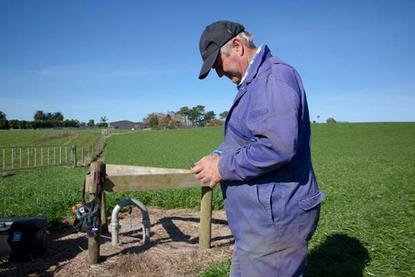 First to trial the product, Waiuku Dairy Farmer Tony Walters says that as with any business, the goal of farm management is to drive profitability. “We are focused on production yield, cost, and avoiding risk,” he explains. “Every farm faces unpredictability on a daily basis and I’m keen to adopt any type of low-cost technology that can help me collect this type of vital data without having to manually collect it myself. “These new type of sensors are long lasting, wireless and accurate and will radically change the quality of farm information as we know it today. Until now, Verryt says farmers have used a number of systems to gather data all using different hardware and platforms. “The Spark Connecting Farm solution uses various types of environmental and volumetric sensors including those that are buried in the ground and only send a few messages per hour, meaning they can run on coin-cell batteries for more than seven years,” Verryt adds. Verryt says the sensors gather information on things such as motion, soil moisture, and milk vat temperature and volume before the data is reconciled on Thingworx, an IoT application platform that connects multiple devices and sensors.